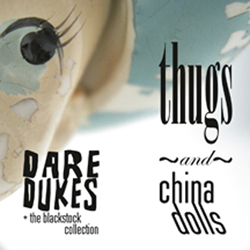 I am so very happy to report that the wise and wonderful music site My Old Kentucky Blog is premiering the new single, “When the Sky Breaks,” from Thugs and China Dolls. They’re also offering for free download my previously unreleased cover of my favorite Brian Eno song, “Some of Them Are Old.” Go get you some. Hey, check out the New Noise Dirty Covers Mixtape, a collection of covers rendered by many Savannah bands. I covered one of my favorite Brian Eno songs, “Some of Them Are Old.” And I did it all in my attic, with mixing help from the very smart and talented Ryan Peoples of Atlanta’s Oryx and Crake. I’m working very, very hard on a cover of Brian Eno’s “Some of Them Are Old,” a song I have adored for many a moon.